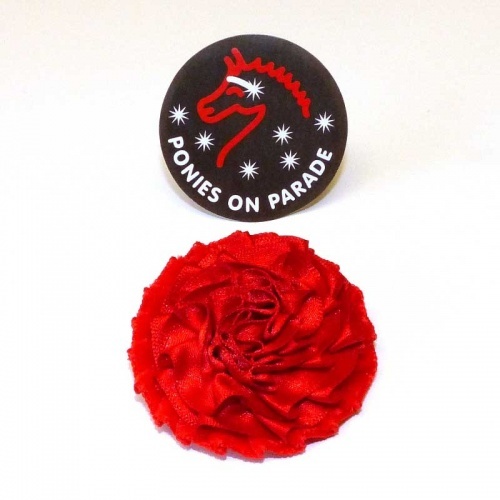 Velvet base with satin centre buttonhole from Ponies On Parade. 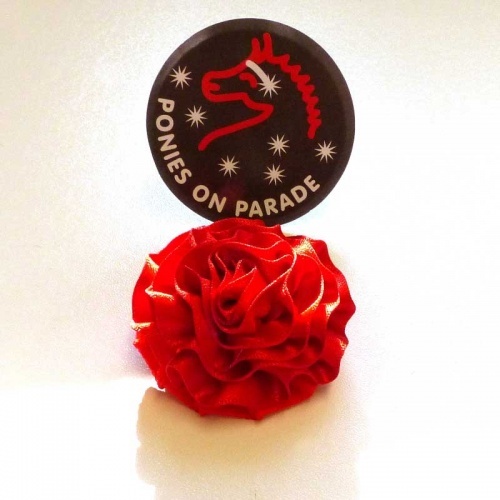 These classically styled equestrian buttonholes have a safety broach clip fastening and are available in small and large sizes. Colours available from stock Red, Royal Blue, Cream.